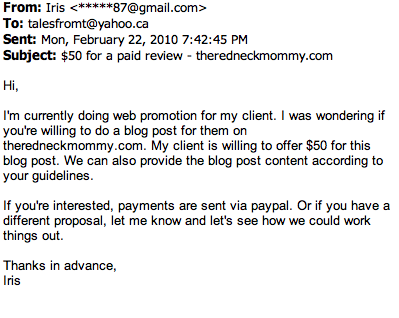 A couple of weeks ago, while I was at a blogging conference in Nashville, a P.R lady came up to me and in the course of our conversation she let it slip that I, the Redneck Mommy, am considered too edgy to work with by straight laced marketers. Me? Edgy? I'm the chick who wore Nikes and a Canadian Olympic hoodie to a cocktail party when everyone else was dressed as a character from the Madmen show. How am I edgy? Did yoga pants suddenly become the poster pants for rebelliousness? I bet it was my blue beaver sparkle stick that forever marked me as the edgiest edge to walk the blogging ledge. Dammit. I knew I should have rethought the whole dying my pubic hair and then blogging about it walking around with a bedazzled cane for bloggers everywhere to document it. A glue gun will get you every damn time. Turns out, not only am I considered edgy, but word has got out that I'm feral as well. I have to say, I kinda like the label FERAL. That is, I like it as long as it isn't just a polite way of spreading the word that I drool. Because, you know, the truth hurts. At the time, I laughed with my P.R. friend and snarled like a rabid wolverine as I tossed back a beer but lately, her words have been ringing in my ears. With all the recent blog posts being published about jealousy and success, I can't help but wonder why it is I'm not raking in the million dollar offers to become a brand ambassador to blue chip companies. Just because I call myself the Redneck Mommy and occasionally talk about dildos and dead kids does not mean that I can't behave in the utmost respectable and professional manner. Any company would be lucky to have me work with them, I tell myself. As I sit and dream about how lucky Apple Inc. would be to have me represent them in the blogging world, I opened my email to find this pitch in my inbox. "See?" I thought to myself. "Iris doesn't think I'm feral. She values my position and my talent. Iris is practically begging me to work with her and her client. Clearly Iris hasn't been scared off by the idea of an edgy feral redneck," I said to myself as I read her email request. While Iris may not be afraid to work with a redneck, Iris clearly needs to learn the value of a professional blogger's time and skill, I thought out loud. Still, because Iris obviously sees the value of my audience and knows how to think outside the box and wants to work with me, I'm going to respond to her request. Because I am PROFESSIONAL. And Iris is obviously heads and tails smarter than all the other public relations workers in the world, I snickered loudly, as I start pecking out a response. There, I thought as I pressed SEND. Still, I wonder why Iris hasn't gotten back to me. Weird.